He'd lost part of his nose and was so scared. 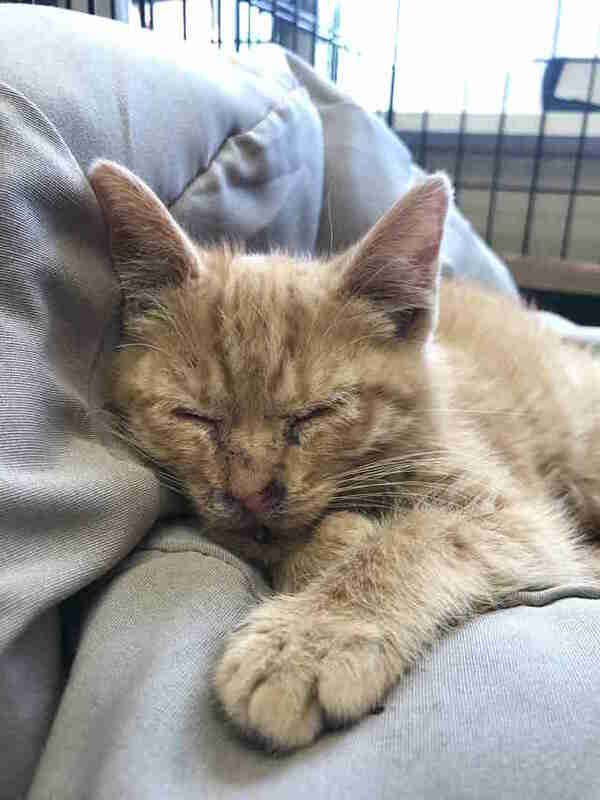 Firecracker the 3-month-old kitten was found as a stray by animal control in Iowa, and as soon as they picked up the little kitten, they knew something was very wrong. 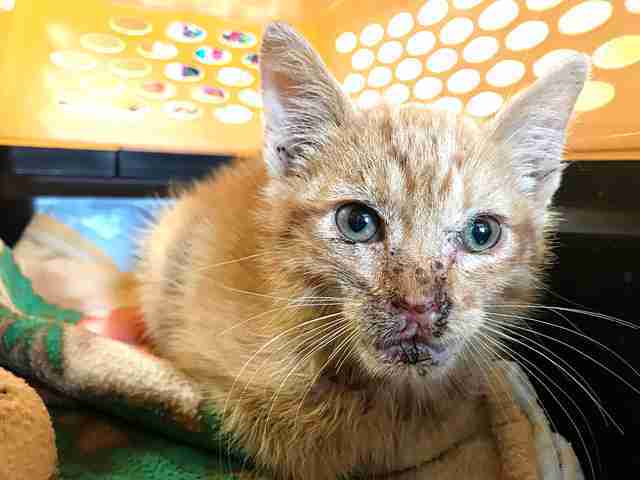 It appeared as if he had suffered a serious amount of trauma to his mouth and jaw, and so the animal control officer immediately contacted Jasper County Animal Rescue League to see if they could help. After being examined by a vet, it was suspected that poor Firecracker had likely had something exploded right in his face — probably some type of firework. The vet determined that Firecracker had a fractured lower jaw and several missing teeth, and wired his jaw so that it could heal properly. He also had to have the skin on his lower jaw stitched back into place and his burns extensively cleaned, which revealed that he was also missing parts of his nose. 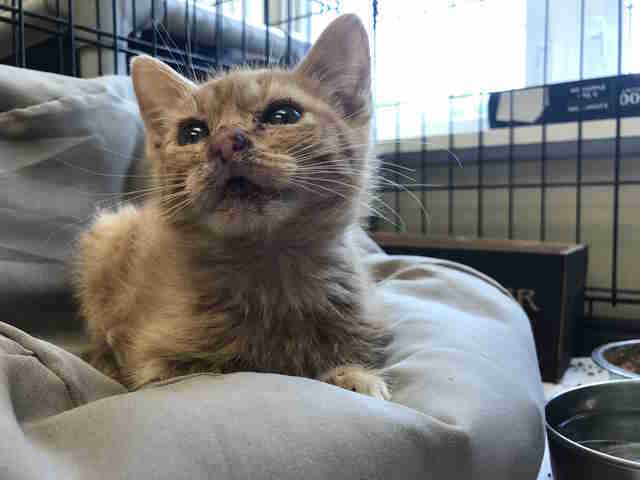 Little Firecracker is very, very lucky to have survived his ordeal, and will, miraculously, likely not have any long-term issues because of it, besides maybe a few permanently missing teeth. When setting off fireworks, it is so important to make sure there aren’t any animals in the area that could be affected, as most of them probably would not be as lucky as this kitten was. 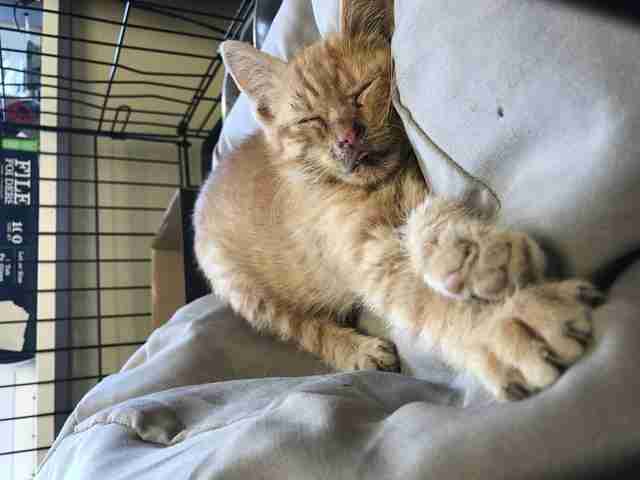 Thankfully, Firecracker is going to make a full recovery, and will be up for adoption once his jaw is completely healed. “We do not anticipate any long-term medical issues — with him being so young, he should be able to bounce back from this,” Long said.